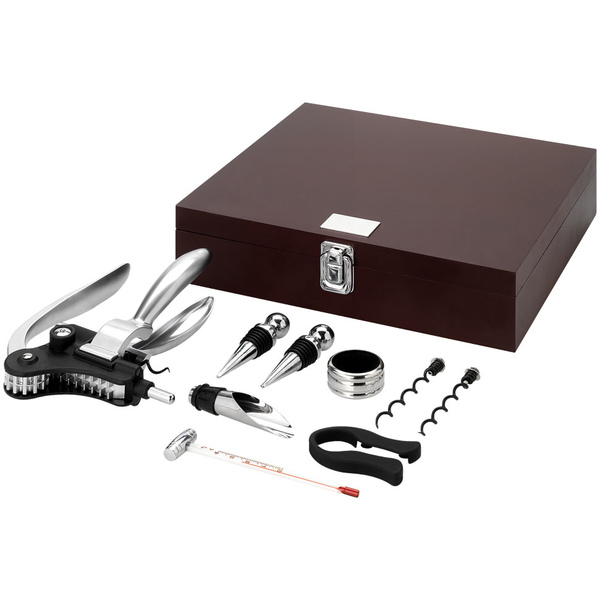 Executive 9-piece wine set. Luxury wooden gift box with 2 wine stoppers, drip stopper, thermometer, foil cutter, funnel, lever corkscrew and 2 spare corkscrews. Engraving plate included. Presented in a gift box.